THE Commission of Inquiry into the post-election violence of August 1 that claimed six lives in Harare and left 22 injured yesterday submitted the executive summary of its report to President Emmerson Mnangagwa, two days after wrapping up public hearings, with the complete document expected to be released tomorrow. John Masuku, the commission spokesperson, confirmed the development, saying copies of the full report had gone for printing and would be presented to Mnangagwa and the public tomorrow. “Today, the commission presented to the President what we call an executive summary, while the complete report will be presented this Saturday,” Masuku said. The commission, which is chaired by former South African President Kgalema Motlanthe, began the hearings in Harare on October 16 and heard testimonies from security officials, including the Zimbabwe Defence Forces commander, Valerio Sibanda; the Presidential Guard and National Reaction Force tactical commander Brigadier-General Anselem Nhamo Sanyatwe; Police Commissioner-General Godwin Matanga and Officer Commanding Harare province, Chief Superintendent Albert Ncube. Among political figures, opposition leader Nelson Chamisa testified on Monday, along with the MDC deputy national chairperson Tendai Biti, while former Home Affairs minister and Zanu PF secretary for administration Obert Mpofu testified on the final day. Former Zanu PF Harare provincial youth leader Jim Kunaka testified last week. The committee also heard testimonies in Bulawayo, Mutare and Gweru. The commission completed its work in under two months, despite being given a three-month deadline to conduct public hearings and report back to Mnangagwa, who set up the seven-member commission at the end of August. 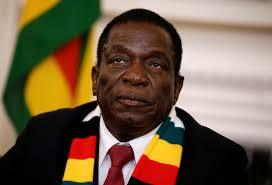 Mnangagwa and his deputy Constantino Chiwenga, whose names repeatedly surfaced in the hearings as the principals who ordered soldiers who allegedly killed the six civilians to quell the protests, were not summoned to testify. Mpofu, in his submissions, claimed Mnangagwa authorised the deployment of soldiers to help the police which he claimed had been overpowered by the protesters. He claimed there was correspondence to the effect and theorised that unknown elements had posted snipers on the roof to shoot at civilians as part of a smear campaign against government. In his testimony, Matanga also claimed he had a letter of authority from Mnangagwa to use the military. However, Chief Superintendent Ncube said members of the military were deployed illegally and violated provisions of the Public Order and Security Act (Posa). He said although he was the one who had requested for reinforcements, he only got to know that his request had been granted when he heard gunshots in Harare’s central business district. “I did not know that soldiers were in town by the time they were deployed. I only heard gunshots and on asking my officers on the ground, I then learnt that soldiers were on the ground and that they were shooting,” he said. Under Posa, any member of the army deployed upon police request was supposed to report to police commanders first and operate under their orders, but this did not happen in this case, and he was unaware of who was commanding the troops. Sanyatwe told the commission that the soldiers were taking orders from him, in violation of the law. Chamisa asked the commission to focus its energy on who had deployed the soldiers, who he claimed were behind the shootings, supporting his arguments by video footage. Biti called into question the credibility of some of the commissioners and queried Mnangagwa’s moral right to appoint the commission. Kunaka also questioned the presence of Charity Manyeruke, a known Zanu PF official who he claimed was previously behind some of the violence against opposition figures. This is not the first time the government has appointed a commission of inquiry. The Chihambakwe Commission of Inquiry was set by government as a truth commission to investigate the disturbances that rocked the Matabeleland and Midlands regions between 1983 and 1984.